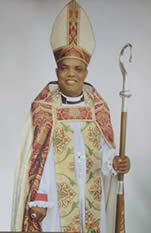 ARCHBISHOP PATTERSON SEMINARY, IGBARIAM, ANAMBRA STATE. ARCHBISHOP PATTERSON SEMINARY, IGBARIAM is now on-line, Students can now check their termly result and many more on the portal. CLICK HERE TO CHECK A LIST OF SUBJECTS WE OFFER. ...WELCOME TO ARCHBISHOP PATTERSON SEMINARY, IGBARIAM. Lies in the hearts of proprietor, and members of the Diocese to start Seminary. On the anniversary day, our Bishop pronounced the existence of the Seminary. He handed it over to Revd T.A Igweze to see for the seminary. The seminary came into full existence when teachers / workers, building and seminarians were gathered and work starts. the number of the workers who started the seminary was fifteen while the number of seminarian was seventeen. 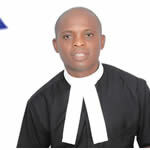 The temporal site of the Seminary is his Royal Majesty Eze Dr. N.N Kelly ( Eze Okalakwu) Igbariam proposed factory. since then the seminary is going on. To be a Citadel of learning and an institution of excellence. To produces future Great Men in all works of life who would radiate light, integrity, transparency, honesty and all such characteristics that connote good upbringing. Admission ! Admission !! Admission !!! 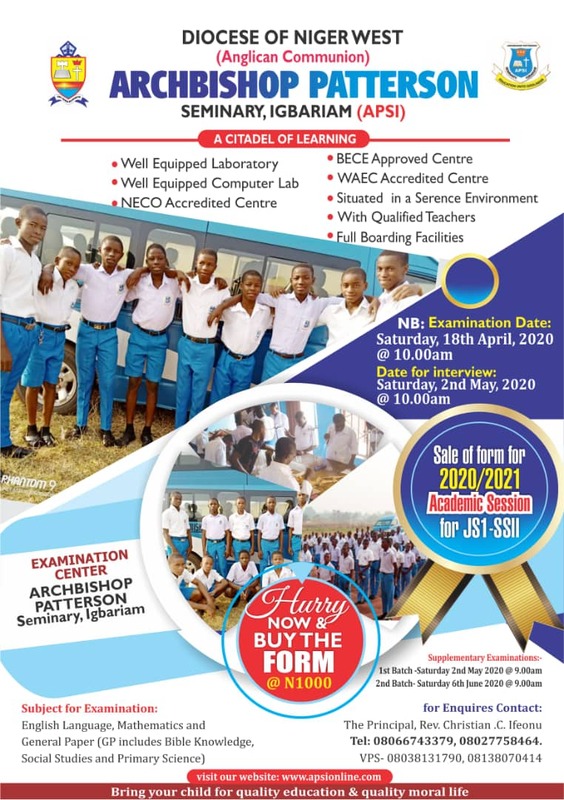 Admission is on at Archbishop Patterson Seminary Igbariam. 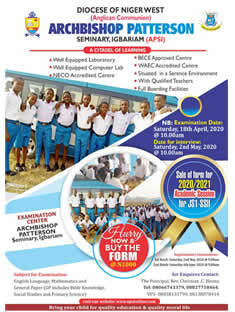 Rush now for your wards admission or contact the principal on 08033272485. For a balanced and well rounded student, Athletics, Socials and Academics are major ingredients to our blend of successful students. At Archbishop Patterson seminary we encourage Athletic, Social and Academic Clubs.